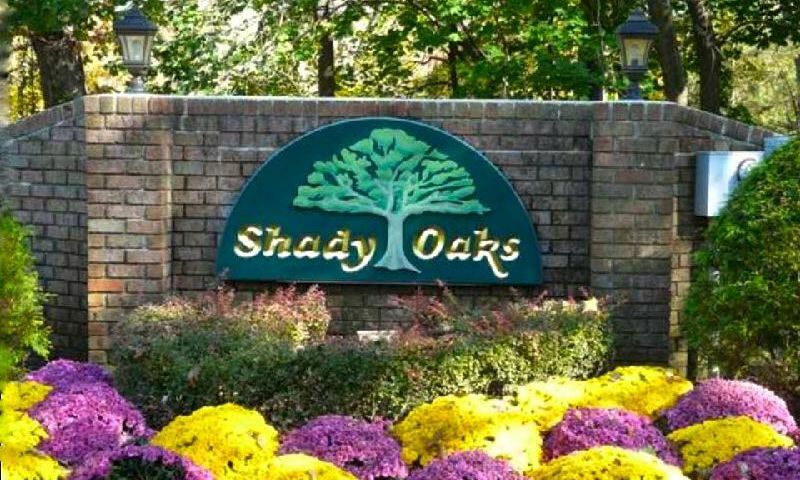 Shady Oaks is a well-established 55+ community in Red Bank, New Jersey. Shady Oaks was developed by K. Hovnanian between 1982 and 1983 and upon completion had 366 units total. The community offers both attached and condo units, perfectly equipped for the 55+ homebuyer looking to downsize. Shady Oaks also provides homeowners with a central clubhouse that has several amenities to keep residents socially busy and physically active. Shady Oaks is a great retirement community for active adults looking for a prime location near New York City and all that Monmouth County has to offer. At the center of the community is the clubhouse. A hobby and game room is perfect for resident events and a billiards table is a natural focal point for informal neighborly gatherings. Shady Oaks also offers a meeting room for get togethers and a library for relaxing with a good book. The terrific amenities continue outdoors with a pool and patio for enjoying the warmer months. Shady Oaks also provides two tennis courts and two shuffleboard courts. A walking and biking trail is ideal for a morning jog while a picnic area acts as a terrific gathering place for residents. K. Hovnanian developed this lovely 55+ community between 1982 and 1983. Shady Oaks is mostly comprised of condominium units. These homes range in size from 1,032 to 1,147 square feet and offer one or two bedrooms, one to two bathrooms, and assigned parking in front of each unit. The condominium units in Shady Oaks feature hardwood floors throughout, open floor plans, and walk-in closets. Shady Oaks offers a select number of townhomes. These attached units range in size from 1,147 to 1,386 square feet and offer two bedrooms, two bathrooms, and either a one-car garage or assigned parking in the front of the unit. With eat-in kitchens, hardwood floors, and large walk-in closets, the townhomes in Shady Oaks are well-equipped to please today's active adult homebuyer. Homeowners within Shady Oaks will also find more time to explore their own hobbies and interests thanks to the homeowners' association. The quarterly fee includes common area and exterior maintenance, lawn care, and snow and trash removal. Living within Shady Oaks means enjoying the company of like-minded neighbors. Residents are constantly planning fun events like game nights, holiday parties, and luncheons. Pick up a new hobby with the needlework circle or explore new ways to stay in shape with yoga or tennis. Try your luck with a night at the races or talk about what you're reading with the book club. There is something for all interests at Shady Oaks. Shady Oaks is located in Red Bank, New Jersey. Just a few miles from the community is downtown Red Bank, featuring everything a homeowner could need, from an Acme Market to several theaters to boutique shops. The Riverview Medical Center is 15 minutes away. Just a little farther north is a Whole Foods. Garden State Parkway is just down the street. When your next destination takes you out of the area, the Newark Liberty International Airport is just over 30 miles away. Living in Red Bank means having world-class entertainment at your fingertips. With an active live performance scene, Red Bank is perfect for the music or theater aficionado. The downtown area also boasts several restaurants, cafes, and spas. Immediately surrounding the community is Stevenson Park and the Sunnyside Recreation Area. There are also over a half-dozen golf courses in the immediate area. For big-city entertainment, New York City is about 45 miles away and is accessible via train. Shady Oaks is the perfect 55+ community for homeowners looking to downsize while living in an exciting area like Red Bank, New Jersey. There are plenty of activities available in Shady Oaks. Here is a sample of some of the clubs, activities and classes offered here. Shady Oaks is mostly comprised of condominium units. These homes range in size from 1,032 to 1,147 square feet and offer one or two bedrooms, one to two bathrooms, and assigned parking in front of each unit. The condominium units in Shady Oaks feature hardwood floors throughout, open floor plans, and walk-in closets. Please Note: Floor plans are not available at this time. Shady Oaks offers a select number of townhomes. These attached units range in size from 1,147 to 1,386 square feet and offer two bedrooms, two bathrooms, and either a one-car garage or assigned parking in the front of the unit. With eat-in kitchens, hardwood floors, and large walk-in closets, the townhomes in Shady Oaks are well-equipped to please today's active adult homebuyer. Please Note: Floor plans are not available at this time. 55places.com is not affiliated with the developer(s) or homeowners association of Shady Oaks. The information you submit is distributed to a 55places.com Partner Agent, who is a licensed real estate agent. The information regarding Shady Oaks has not been verified or approved by the developer or homeowners association. Please verify all information prior to purchasing. 55places.com is not responsible for any errors regarding the information displayed on this website.